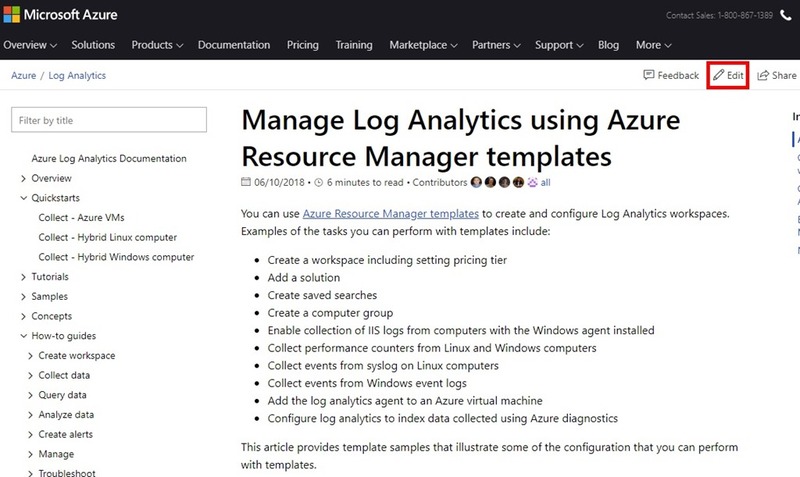 Recently I’ve been reading a lot of Microsoft official documentation, much of which has moved to hosting on GitHub. 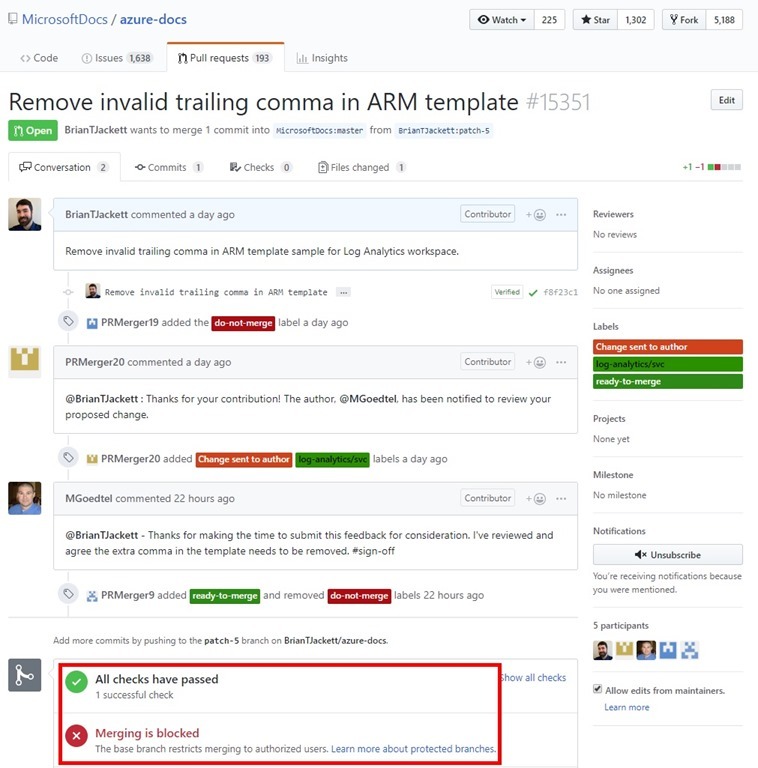 If you didn’t know this move to GitHub also opens up the opportunity for anyone from the community to propose updates to the documentation through the GitHub pull request process. This post will walk through the steps to make an edit of the documentation and submit a pull request. Note this is not the only process to accomplish this but one that I’ve used with success recently. Additional resources for background on creating pull requests. First ensure that you have a GitHub account (free or paid) that you can login to GItHub.com. 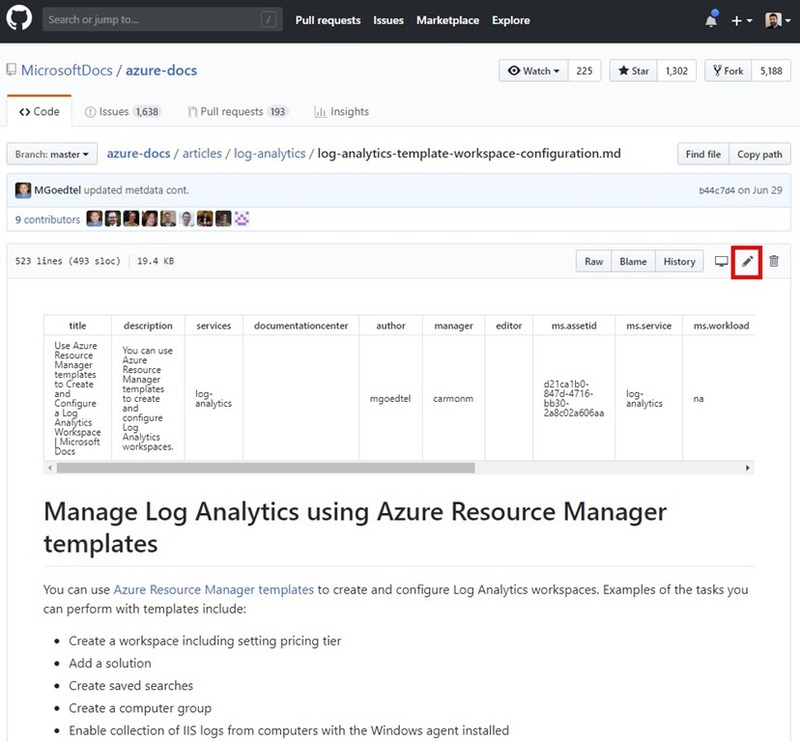 Next navigate to the documentation page you want to update (usually on the docs.microsoft.com domain). Click the “Edit” button in upper right corner. This will redirect you over to the underlying GitHub page where that file is sourced from. Click the “pencil” icon to edit the file in question. Make edits to the file as needed. 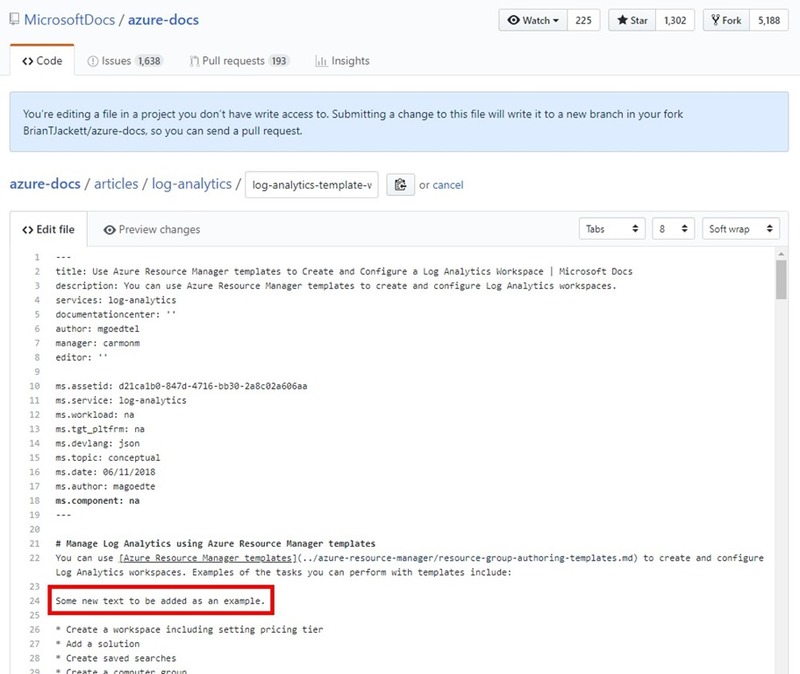 At the bottom of the page fill out a title and description for the file commit being proposed. Click “Propose file change”. You’ll see a summary of the commit being proposed with additions or deletions to the file at bottom. Up top you can see which branch changes are coming from (yours) on the right and the branch to submit them to on the left (usually “master”). Click “Create pull request” when ready. You’ll be presented with a last page (not shown here) for the pull request prior to submitting. Once submitted you should see the active pull request page with details about the checks being run and any comments from the approvers. Here is an example of one that I submitted a few days ago. Notice the “All check have passed” at bottom where a number of background checks run before the approvers even see the pull request. 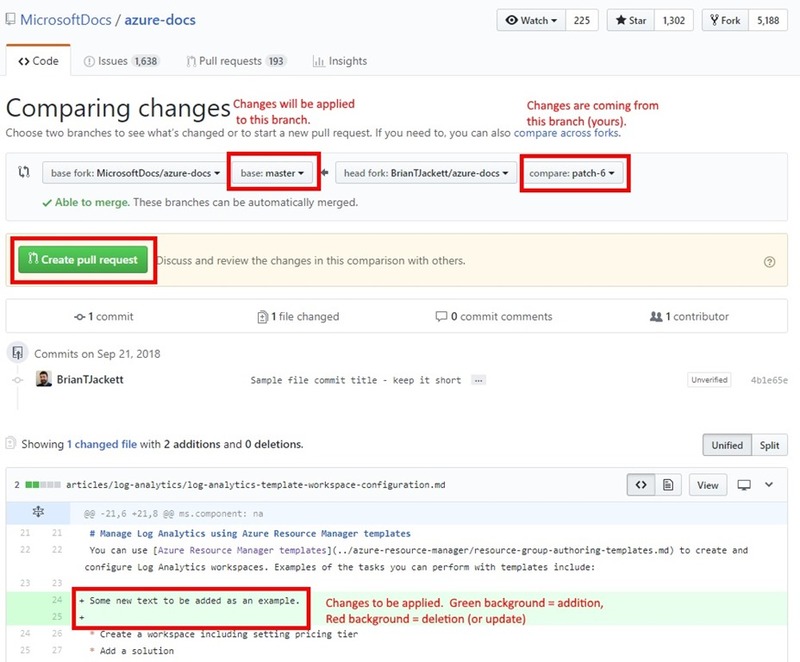 Hopefully after reading through this process you feel capable of making edits to official Microsoft documentation on GitHub and submitting pull requests. Happy editing and share your knowledge with the world.